Fiction – paperback; Faber & Faber; 144 pages; 2014. In recent years, Deirdre Madden has become one of my favourite writers. She has 10 novels to her name, but I’ve only reviewed three of them — One by One in the Darkness (published in 1996), Molly Fox’s Birthday (2008) and Time Present and Time Past (2013) — which means I have many years of reading pleasure ahead of me if I space them out accordingly. Her debut novel, Hidden Symptoms, first published in 1986, is a densely constructed story about a trio of characters living in Belfast during The Troubles. It revolves around university student Theresa, a devout Catholic, whose faith is tested by the murder of her twin brother, whose badly mutilated body was found dumped on a patch of waste ground near the city centre several years earlier, the result of sectarian violence. But the story is just as much about the faith — and the trust — placed in friendships, for Theresa spends most of her time with Robert, a writer and frustrated intellectual, who aspires to better things and despises his sister’s sheltered suburban life, and Robert’s girlfriend, Kathy, a fellow student, who discovers that the father she thought had died when she was a baby is actually living in London with his new young family. The background to these family dramas — “people marrying, mating and mixing genes” — is Belfast in the 1980s, a time of great conflict between paramilitary forces, British state security forces and political activists. Yet despite the violence, Theresa views it as “normal” because, as she explains early on in the novel, “she had watched it [Belfast] sink since her childhood from ‘normality’ to its present state”. Admittedly, Theresa is not a terribly likeable person — she’s (understandably) bitter and angry, and all her conversations tend towards the argumentative, particularly where politics is concerned. Her relationship with Robert, initiated in a cafe when she roundly criticises and condemns a piece about Irish literature that he wrote in a magazine, is fraught from the outset but it soon descends into irreconcilable differences because their views on politics and religion are so polarised. And yet despite her fierce talk and hard-held opinions, there’s a fragility about Theresa that is hard to ignore. Her grief, at times, is palpable, and it is to Madden’s credit that it never descends into maudlin self-pity or sentimentality. Hidden Symptoms is a short novel — indeed, it was originally published in Faber’s First Fictions anthology where it was awarded the Rooney Prize for Irish Literature in 1987 — but it’s so tightly written it would take an age to unpick all the issues and themes it contains. As a dark exploration of bereavement, faith, love, loyalty and violence, you would be hard pressed to find a book more powerful — or intelligent. I fell in love with Molly Fox’s Birthday when I read it, so I’m also glad to have lots of Madden to look forward to. I’ll be putting this one on my list! I hope you get to read it, Megan. It’s one of those books that looks very slim but has so much to say about the religious and political divides between people, and how our deeply personal experiences shape our outlook, beliefs and relationships. Certainly lots to think about. Ah, I watched some of that Van concert too. He played a little jazz club around the corner (5 min walk) in February, which we went to…quite an amazing performance and such a tight band. I’m not a huge Van fan, but really enjoyed it. 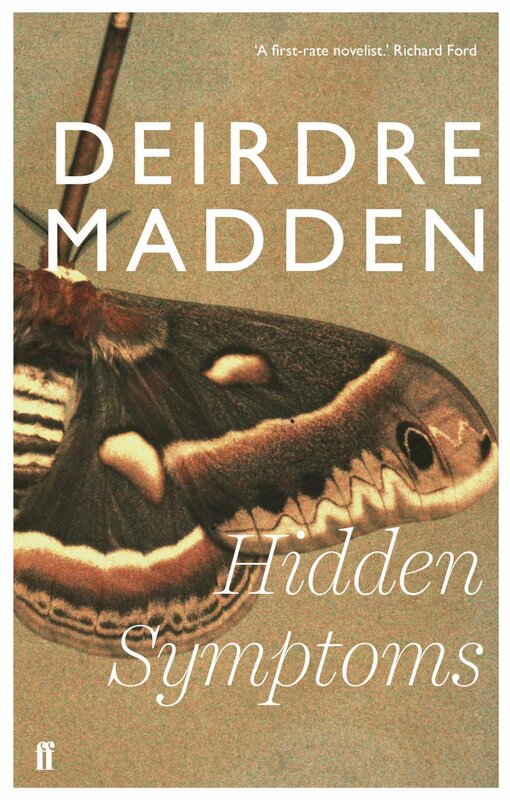 And yes, do give Deirdre Madden a go…this one is a short, sharp, powerful read.